Your scheme to sell the Catholic Diocese of Ndola to a movement popularly known as Ba LWENDO has been exposed. The whole truth is that many of us (Catholic Christians)on the Copperbelt have learnt with shock that crookedness, diabolic tendencies and fiendish attitudes have not spared the Catholic church in Zambia. What is even more surprising is the UNDERHAND methods that are being used or applied in the once secretive process of choosing a Bishop. One lamentable example that we have at hand is that of the outgoing Bishop of Ndola Diocese, now His Grace Dr. Alick Banda. His way of life, the house he lives in, the vehicles he drives, the people he associates with, the Parishes he frequently visited, his incessant thirst and lust for money is something that is known by every Jim and Jack on the streets of the Copperbelt. It is very clear that all the sermons of the Holy Father have never moved him an inch. The man has ruined the once great Diocese of Ndola with impunity. The said ruin is across the board in that it has left a divided clergy, disappointed Religious Men and Women, diminishing catechesis, empty churches, lost youth, diluted sacraments, complete abandonment of the poor and the like. Although the said mess is there for everyone to see and be disgusted, your Excellency or the powers that be have been compromised and you have knowingly and willingly chosen to pay a blind eye and a deaf ear to all the cries of the people of this Diocese. It is not a secret that His Grace Dr. Alick Banda has strongly recommend a LWENDO PRIEST by the name of Fr. FRANCIS MUKOSA to take over our Diocese as new Bishop. The wise know that this move is not only illintended but it is also diabolic. Since His Grace intends to continue ruling this Diocese by extension he decided to choose his puppet or someone who is going to be perpetually loyal to him and Fr. Francis Mukosa is just that kind of a person. We know from experience that what may seemingly be a rumour if it turns around His Grace Dr. Alick Banda should not be taken as such because it is bound to happen. We are saying this because what transpired when he was about to be in transit from Solwezi to Ndola Diocese has repeated itself. It is self evident that the once old rumour of being promoted to Archbishop of Lusaka has come to pass as it has always been known. The fact that his known next move is to be created Cardinal, your Excellency or the powers that be must stop pushing his agenda by playing with people’s faith. The best that must be done is to fulfill the said known next move and take the man to Vatican city. 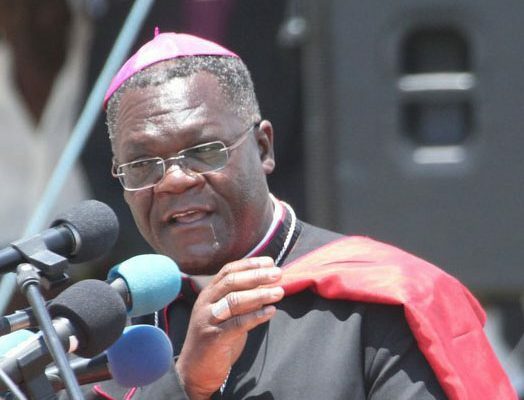 That way the faithful in Lusaka will be spared from the punishment of having him as their Archbishop. As far as we are concerned it is very sad and painful to see how the Catholic church in Ndola is crumbling down. You may want to know your Excellency that we are impatiently waiting for Fr. Francis Mukosa, don’t even delay because we know what is going on. Just go ahead and announce in line with the clear designs of His Grace Dr. Alick Banda.